Energy Suspension is the world leader in performance polyurethane automotive suspension products. Pit Stop USA is The Online High Performance Superstore! 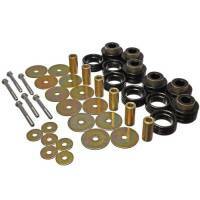 We feature Axle Pivot Bushings at low everyday prices. 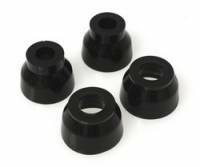 Ball Joint Dust Boots from PitStopUSA.com feature durable polyurethane construction keeps dirt and debris out for improved reliability of ball joints. Pit Stop USA has all of your Street Performance needs including Barracuda Suspension. 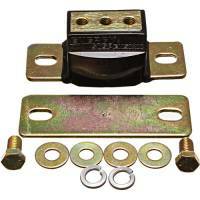 Check out the Recently Listed Body Mounts. 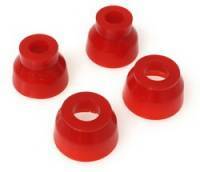 Check out the Recently Listed Bump Stops. Pit Stop USA is The Online High Performance Superstore! 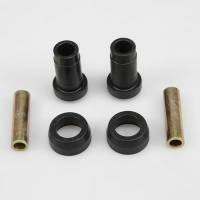 We feature C-Bushings at low everyday prices. Pit Stop USA sells all the products you need for your 3/4 and 1-ton GMC or Chevrolet Trucks including Bushings and Mounts. Pit Stop USA sells all the products you need for your 3/4 and 1-ton GMC or Chevrolet Trucks including Spindles, Ball Joints, and Components. Pit Stop USA is The Online Motorsports Superstore! Energy Suspension is the world's leader in developing and manufacturing performance polyurethane automotive suspension products. Energy Suspension state-of-the-art on-site new product development program which carefully analyzes various vehicle reactions equipped with Energy Suspension Performance Polyurethane technology. Energy Suspension offers the largest product line in the industry for both import and domestic vehicles. Energy Suspension was first to market replacement Performance Polyurethane automotive Control Arm Bushings containing outer metal shells; Performance Polyurethane Transmission Mounts utilizing an "Interlocking Safety Feature"; complete Performance Polyurethane suspension bushing Master Sets for front-to-rear coverage of vehicle suspensions for popular import & domestic vehicles called THE HYPER-FLEX SYSTEM"; Polyurethane Greaseable Anti-Sway Bar Bushings which feature easy greaseable zerk fittings; Performance Polyurethane Ball Joint and Tie Rod Dust Boots. Energy Suspension Universal Application Products are used on street cars and trucks, race cars, custom configurations, unusual/special project and other transportation uses. Energy Suspension HYPER-FLEX" polyurethane products are engineered with various performance durometer or firmness properties. Available in red or black color. We feature Energy Suspension Body Mounts, Bump Stops, C-Bushings, Radius & Track Arm Bushings, Coil Lift Isolators, Control Arm Bushings, "Hot Rod" Components, Leaf Spring Bushings, Master Bushing Sets, Motor Mounts, Motor Mount Inserts, Rear Trailing Arm Bushings, Shock Bushings, Shock & Stabilizer Boots, Strut Rod Bushings, Sway Bar & End Link Bushings, Tie Rod & Ball Joint Boots, Transmission Mounts, Bump Stops, Coil Spring Isolators, Shock Boots, Shock Eye Bushings, Shock Reservoir Isolators, Sway Bar Bushings, Sway Bar End Links, Tie Rod End Dust Boots at low everyday prices!